In Illinois, child support does not always end when the children turn 18. In some instances, the non-custodial parent may be required to contribute to the college expenses of the child. 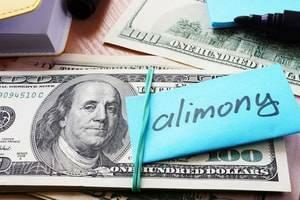 Most divorce settlements are vague on this issue because post-secondary education is often several years away. For this reason, a post-decree modification may be necessary to compel the non-custodial parent to make such contributions. Whichever side of this issue you are on, it is important to have experienced legal counsel in your corner to make sure your rights are protected. For over 35 years, Mevorah Law Offices LLC has provided skilled divorce and family law representation to clients throughout the Chicago area. We have been highly recognized by our peers for not only our experience and skill, but also our honest, accessible and down to earth approach. We have in-depth knowledge of even the most complex divorce issues as well as several other areas of the law, and our attorneys work closely with our clients to understand their unique needs and develop the most practical and effective solution. In cases when college expenses are a concern, we put our experience to work to guide our clients toward a positive resolution in keeping with their interests. Support contributions for college expenses are only required through the attainment of a bachelor’s degree and do not extend to the master’s level and beyond. Non-minor support may also be terminated in certain instances; such as when the child fails to maintain a certain grade point average or is not enrolled in full-time classes. Court rulings in recent years have held that if college expense contributions are not explicitly written into the original decree, a post-decree petition must be filed for non-minor support. In addition, if some college expenses have already been incurred prior to filing the petition, the non-custodial parent is generally not required to make contributions for these expenses. For this reason, it is essential to settle this issue sooner rather than later if you have children approaching college age. 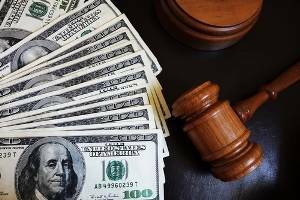 The attorneys at Mevorah Law Offices LLC have handled numerous college expense cases in Illinois. We understand the intricacies of non-minor child support laws and how the courts have ruled in these cases. Our lawyers are experienced and approachable and we offer extended evening and weekend hours to fit your schedule. If you are in need of skilled guidance with non-minor support contribution issues, contact us today at 630-932-9100630-932-9100 for a free consultation.